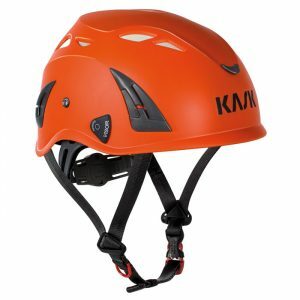 Freeworker Blog » Climbing helmets: What has to be considered? Climbing helmets: What has to be considered? In tree climbing, in addition to the tree-sparing technique, the protection of the climber himself is of particular importance. Therefore, the equipment must meet certain requirements to ensure safety and physical integrity. This so-called personal protective equipment (PPE) also includes a suitable safety helmet. 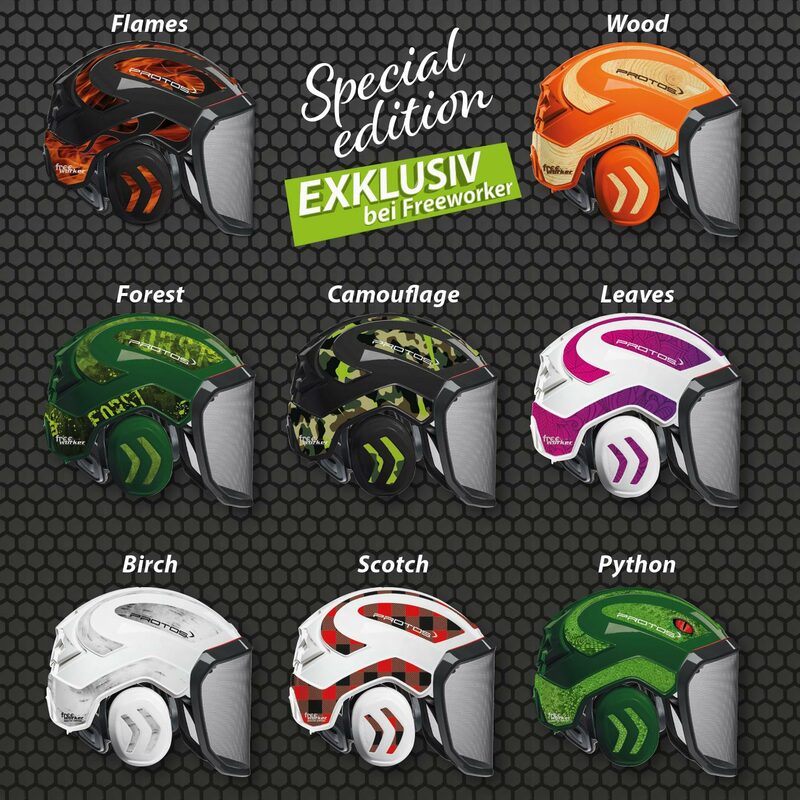 Which climbing helmets may be used in tree arboriculture and what are the most important norms and facts? Which PPE is required for the use of rope climbing technology in trees is determined in Germany by the relevant employers’ liability insurance association. The Sozialversicherung für Landwirtschaft, Forsten und Gartenbau (SVLFG) has summarised everything worth knowing in this regard in data sheet B09 “Seilklettertechnik im Gartenbau” (PDF, Rope Climbing Technology in Gardening) starting on page 5. Especially for safety helmets, the SVLFG demands the use of a suitable helmet with chin strap. In B09, page 5, it says: Safety helmet according to EN 12492 (mountain sport helmet) or alternatively according to EN 397 or EN 14052 (if an appropriately tested and suitable chin strap is available). The standards EN 397 for industrial safety helmets, EN 12492 for mountaineering helmets or EN 14052 for high performance industrial helmets are therefore decisive for helmets used in tree climbing. Industrial safety helmets according to EN 397 are primarily intended to protect the wearer from falling objects and their consequences – e.g. from brain injuries or skull fractures. The helmet must also be protected against lateral deformation. This should additionally protect the wearer from dangerous head injuries. Vertical shock absorption must be provided. They must have a certain penetration resistance to sharp and pointed objects. A chinstrap is required which triggers at a minimum of 150 N and a maximum of 250 N – or a possibility for mounting a corresponding chinstrap. If a helmet complies with the requirements of EN 14052, it must offer the wearer protection against falling objects and lateral impact – and protect him from the resulting injuries such as brain injuries, skull fractures or neck damage. They must have vertical and lateral shock absorption. The helmets must also have a certain penetration resistance vertically and laterally. The chinstrap loosens at min. 150 N and max. 250 N and must ensure that the helmet does not come off the head during the shock absorption and penetration test. If a helmet is certified according to EN 12492, it must protect its wearer from the dangers of mountaineering. The standard requirements (see below) suggest that mountaineering helmets are primarily intended to protect against falling objects. They must be shock-absorbing vertically, frontally, laterally and dorsally. For this purpose, on the one hand an impact body is dropped vertically from above, and on the other hand a flat steel plate is dropped obliquely from above (front, side, rear) onto the helmet from a defined distance. A certain penetration resistance must be ensured. They need a supporting system, which means a chin strap which releases at min. 500 N, has a max. 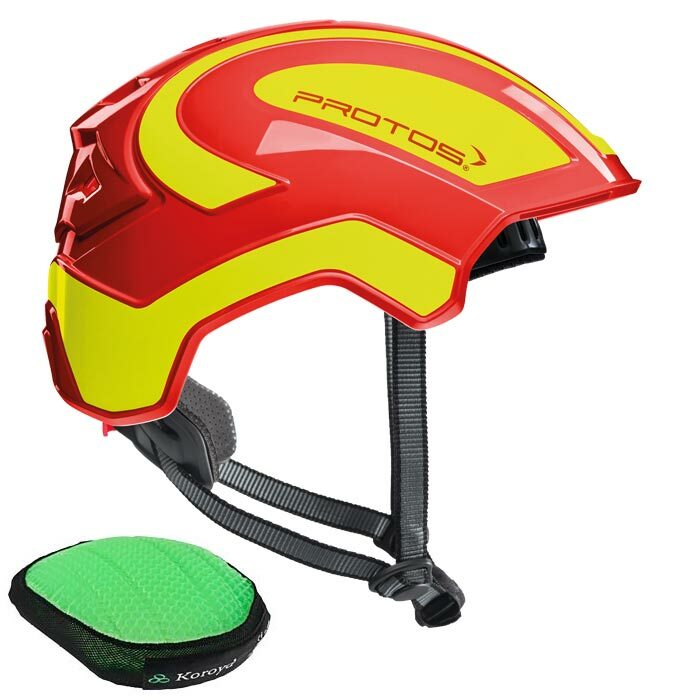 elongation of 25 mm and ensures that the helmet does not slide off the head. 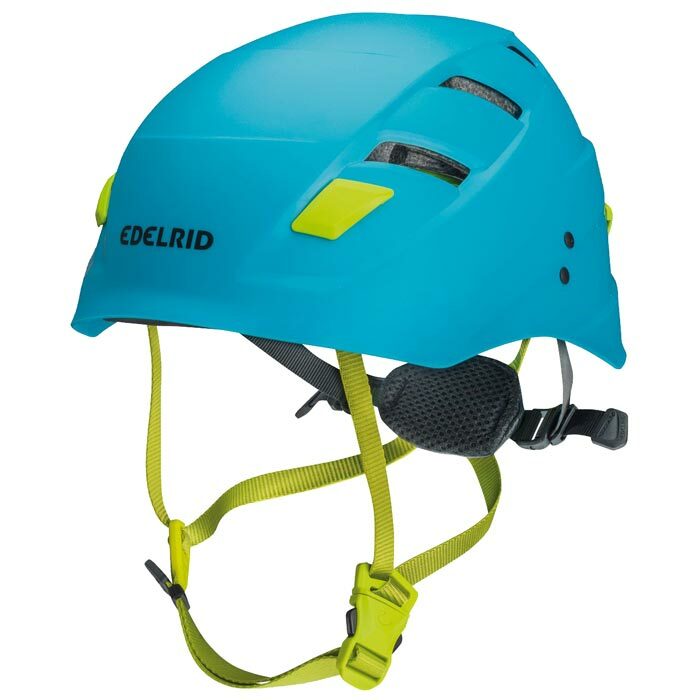 Regardless of the different standards that climbing helmets must meet, there are also different types of helmets: Hard shell helmets, inmold helmets and hybrid helmets. These have different advantages and disadvantages. Depending on the focus of the tree climber, one or the other type is appropriate. This type of helmet consists of a hard plastic shell, which is equipped with a belt system inside. For example, if the helmet is stressed by impacts or falling objects, the energy is absorbed by the shell and belt system – as these deform. Hard shell helmets are very sturdy and relatively inexpensive. However, due to their construction they are also quite heavy: They usually weigh between 400 and 500 grams. In contrast to hard shell helmets, these helmets are made entirely of polystyrene (foamed plastic). The energy generated by an impact is absorbed by deformation or breakage of the shell. Thanks to the material, inmold helmets are the lightweights among climbing helmets: they weigh only around 200 grams. On the other hand, however, they are also much less sturdy precisely for this reason. They can break very quickly by mistake if they are transported inappropriately, for example. Note: Inmold helmets are less suitable for ground crew. They certainly meet the requirements of the standards for penetration resistance. Nevertheless, they are far less resistant than hard shell and hybrid helmets. They therefore offer insufficient protection against falling branches, etc. As the name suggests, this type of helmet is a hybrid of a hard shell and an inmold helmet. Hybrid helmets have a slightly thinner shell than hard shell helmets. In addition, a polystyrene inlay is inserted in the upper area for better shock absorption. Thanks to this construction, they are almost as resistant as hard shell helmets – with 300 to 400 grams but also slightly lighter. Side impact protection or lateral shock absorption is of special importance for tree climbers. It is particularly relevant in the case of swinging falls. Both EN 12492 and EN 14052 require this lateral shock absorption, which is not explicitly demanded in EN 397. 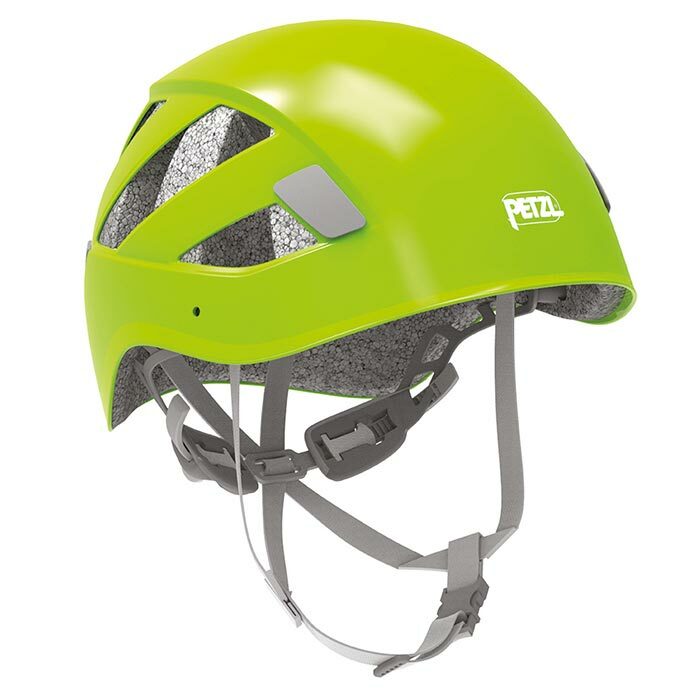 In developing the versatile Boreo hybrid helmet, for example, Petzl attached particular importance to increased head protection – especially on the side. The lowered shape of the helmet at the neck provides increased impact protection at the sides and at the front and back of the head. Chainsaw protection trousers: Which is the right one for arborists? Ascent: Which device fits your needs?